Happy (belated) Halloween! Halloween is one of my favorite holidays – I love carving pumpkins, watching scary movies, and seeing all the creative costumes. This year I didn’t dress up (I meant to 😦 it just crept up on me so quickly!!) but here is a little blast from the past. 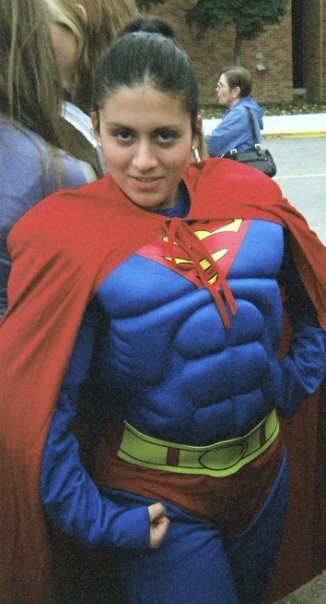 This was what I wore Senior year of high school and to this day it’s still my favorite costume! I wore it to school and got a lot of laughs. 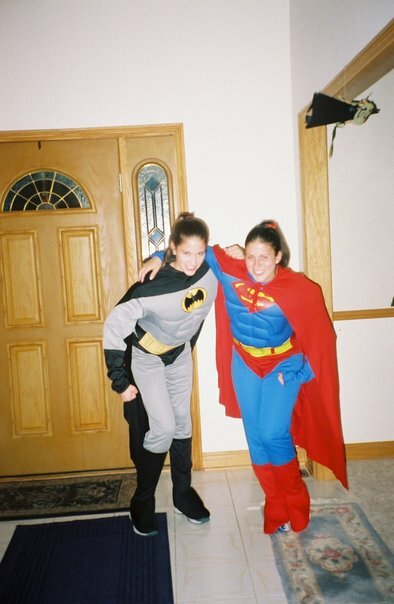 My best friend went as Batman; we were quite the crime-fighting duo. 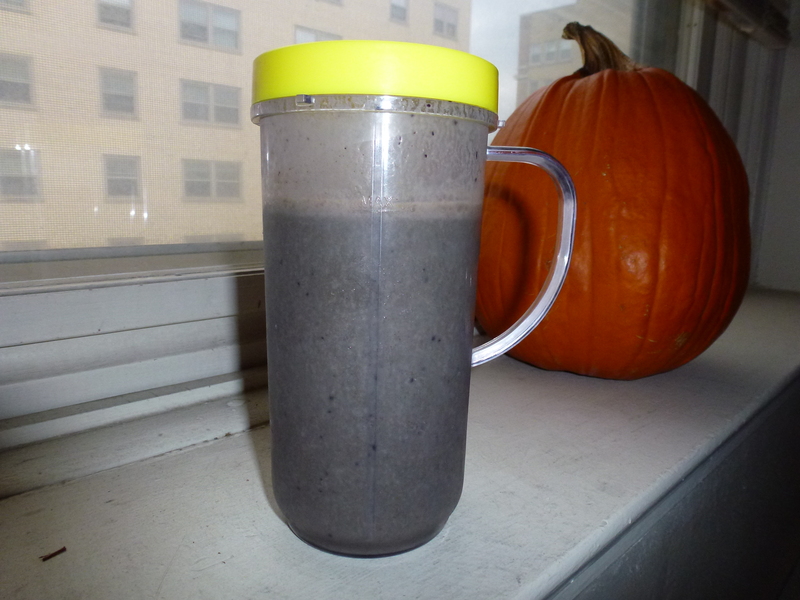 Today I have a quick, healthy, and delicious smoothie recipe for you. I call it a Purple Power Smoothie. I actually got the inspiration from the Green Monster Smoothies (http://greenmonstermovement.com/)that have become popular the last couple years, but since my smoothie ended up purple, I figured I couldn’t really call it a Green Monster. Though I’ll admit it’s not exactly the prettiest smoothie in the world, it’s extremely healthy, tastes awesome, and is so easy. 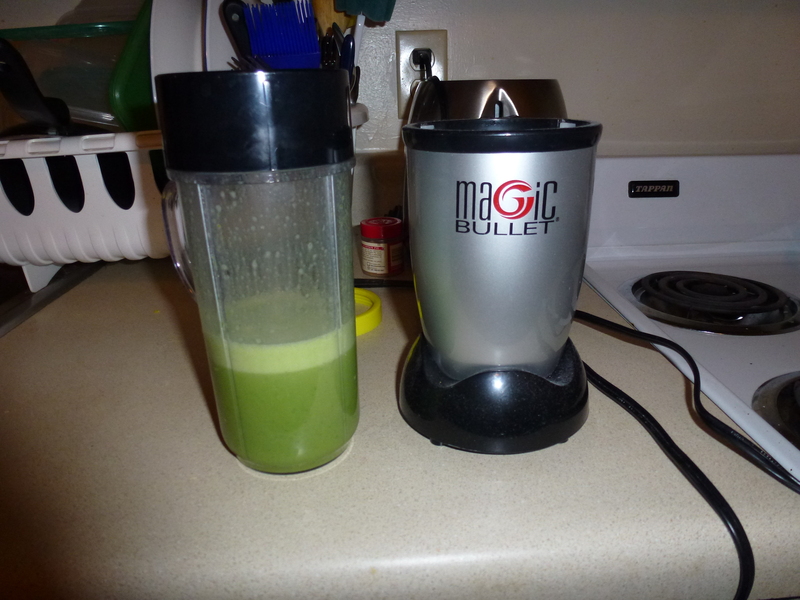 I make these a lot either after a workout or as part of my breakfast or lunch. First, pour a cup of milk into the blender. 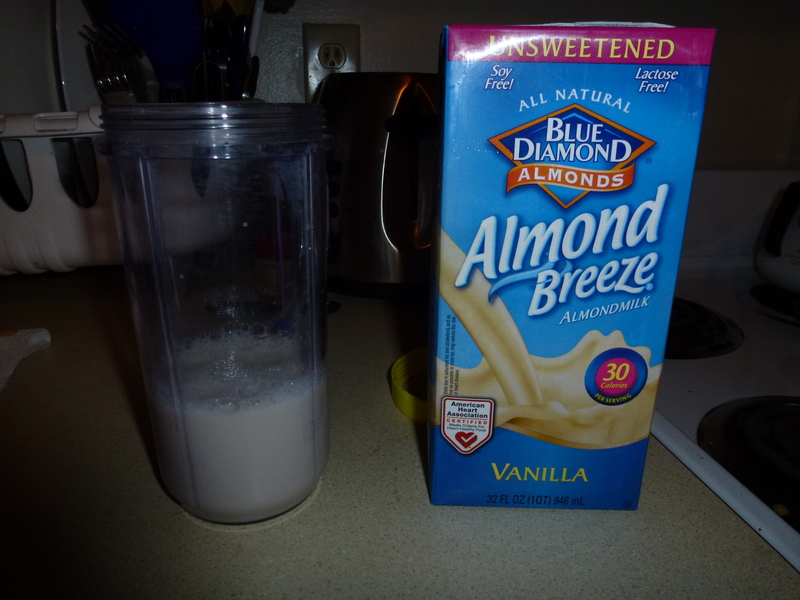 I use unsweetened vanilla almond milk instead of regular milk – I just love the taste of almond milk! But any milk you have on hand will work. 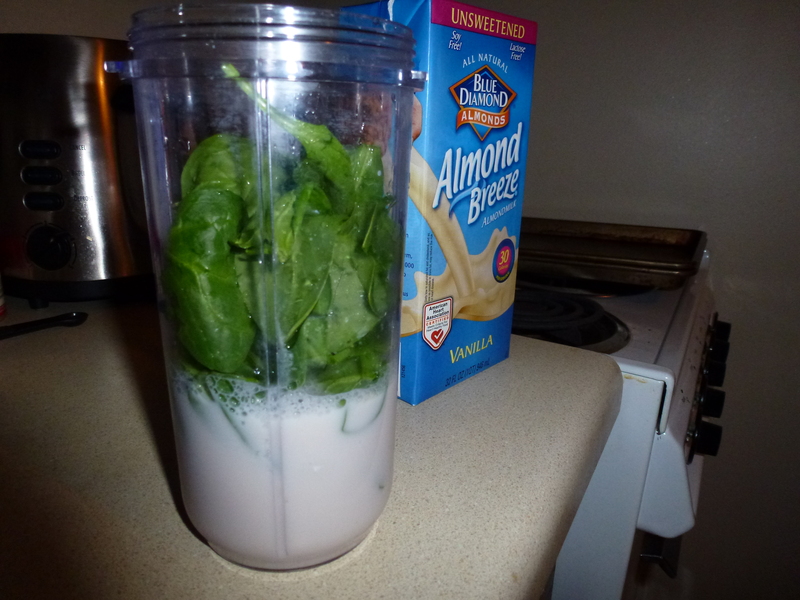 Add a BIG handful of washed baby spinach, then blend until smooth. It may sound super gross to add spinach into a smoothie, but trust me – you can’t taste it AT ALL! I swear. And it adds so many health benefits to the smoothie: it’s loaded with vitamins and omega 3 fatty acids, it contains anti-cancer antioxidants, and it strengthens your bones. Next, add in half a frozen banana. I always keep plastic baggies of frozen bananas in my freezer for this purpose. They come in so handy! When I have bananas that are about to go bad, I slice them then freeze them on a baking sheet for a couple hours. 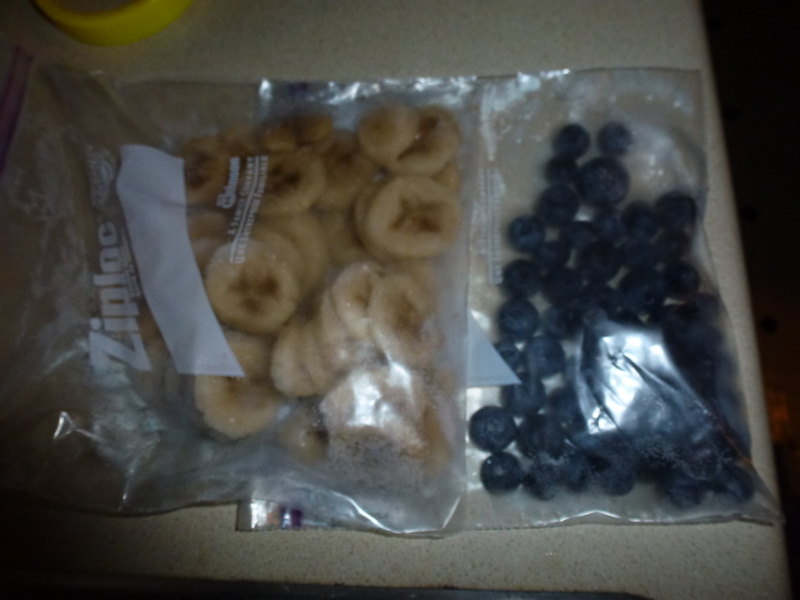 When they are frozen, I transfer them into plastic bags and store them in the freezer. Also add in a handful of frozen blueberries. I store a plastic bag or two of these in my freezer as well (they’re also good to eat frozen by themselves). Pour in a little more milk and blend again until smooth. 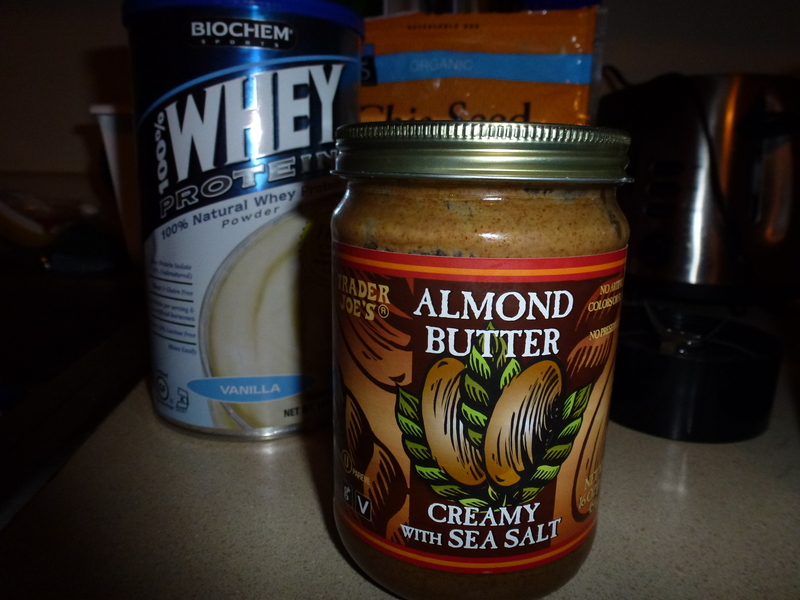 Finally, add in a tablespoon of almond butter or peanut butter and a dash of cinnamon. 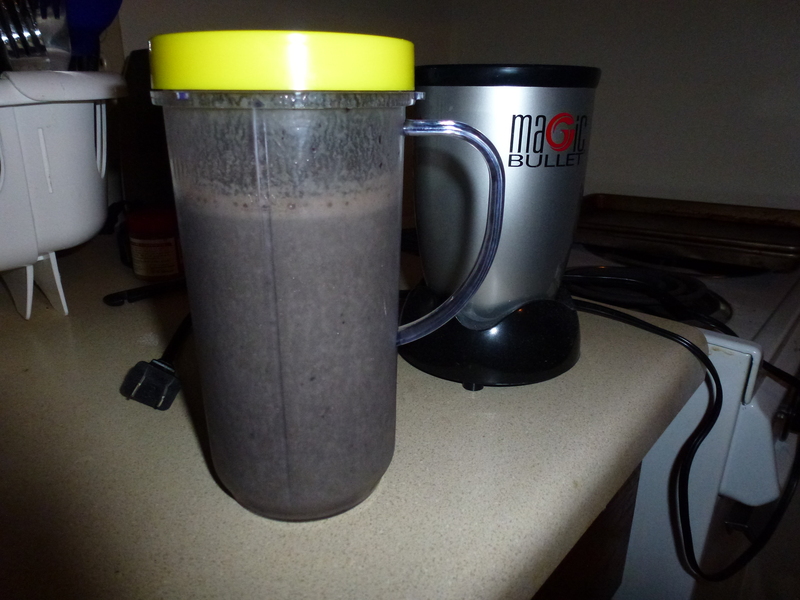 Blend like crazy until the smoothie is the desired consistency! 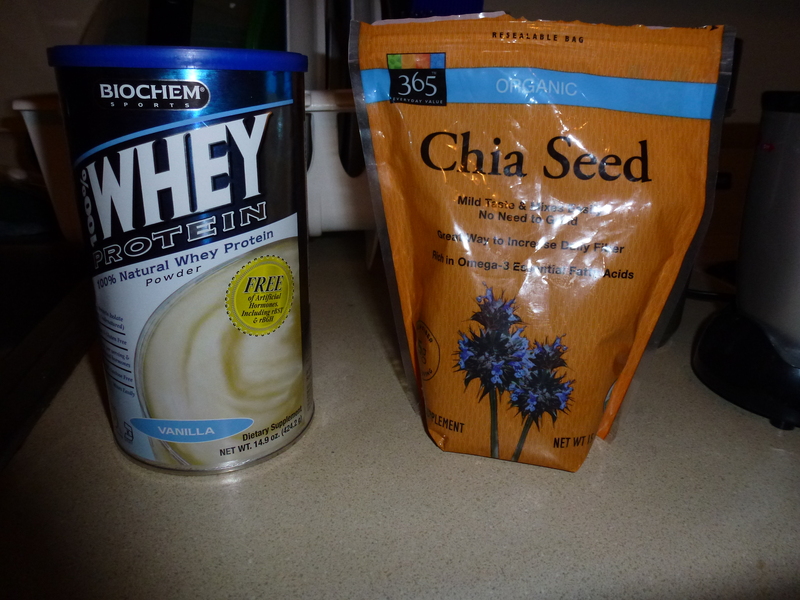 This is an optional step, but I like to add a little extra protein (especially after working out). I usually add about 1/2 a scoop of vanilla protein powder or 1 whole scoop if it’s after a workout. Sometimes I also add in a teaspoon of Chia seeds. 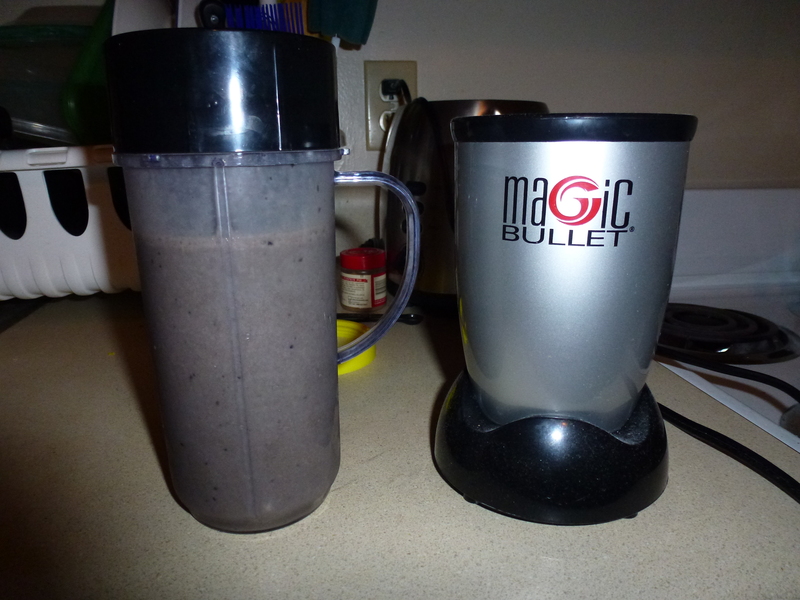 If you’ve never used them, they blend really well and don’t add any weird taste to the smoothie. They reduce food cravings, reduce blood pressure, contain omega 3, and have lots of fiber and antioxidants. They’re also gluten free. Note: I have a small blender so I blend everything in steps, but if you have a big one then just go ahead and blend it all at once! You can also make the smoothie ahead of time then freeze it so that it’s all ready to go! 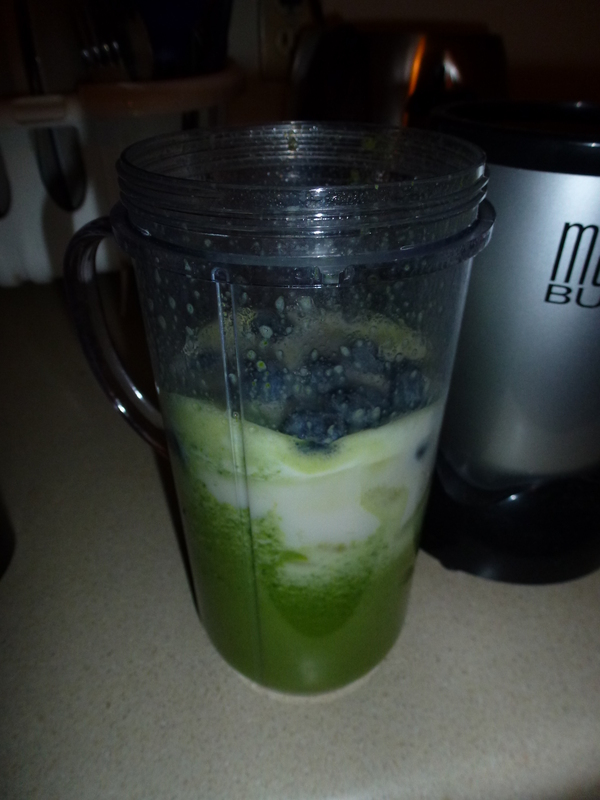 This entry was posted in Breakfast, Healthy and tagged fruit, healthy, smoothie, spinach. Bookmark the permalink.